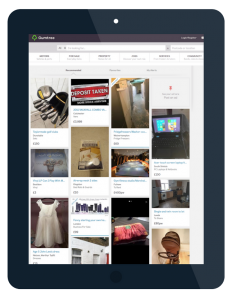 As the UK’s ‘go to’ website for classified goods, Gumtree receives up to 19 million unique visitors per month searching for everything from iPhones to new homes. But having so many different items on sale in one place creates unique communications challenges. Fergus Campbell, Gumtree’s head of communications, says ensuring people fully understand the breadth of the brand’s offering is a constant challenge. What’s more, it has to work hard to assure people they can trust the site. The brand knows strategic insights must play a key role in achieving these objectives. So, it worked with Cision Insights to create a robust framework to measure and drive its communications initiatives. Gumtree’s comms team has four distinct comms objectives designed to address the challenges facing its sprawling online classifieds hub. Gumtree and its media relations, PR and social agencies partnered with Cision Insights to develop a communications measurement framework that aligned to these four communications objectives. 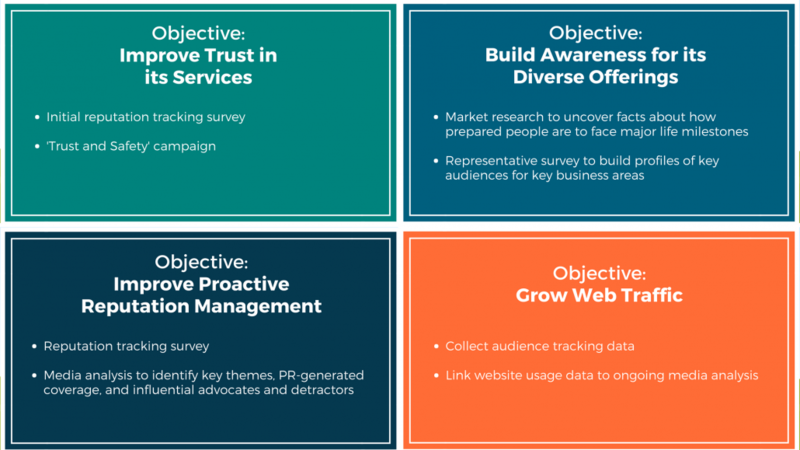 Cision developed an integrated measurement plan to support this framework using multiple data sets – including media analysis, market research and website analytics. To enhance a brand’s reputation, you first need a clear idea of what people think of it. So, Cision built an ongoing reputation tracking study targeting Gumtree’s key consumer and B2B audiences. This showed that the top qualities these audiences look for in an online retailer are value, ease-of-use and trustworthiness. But while the brand scored highly for value and ease-of-use, it fared less well on trust. Having confirmed the need for an immediate, proactive comms strategy, Cision’s media analysis then identified a potential source of the problem. It revealed a relatively large proportion of Gumtree’s coverage was discussing fraudulent or poor quality items. It identified key influencers and journalists to create an outreach programme to develop positive media relationships. It uncovered key topics of concern and took steps to establish itself as a champion of trust in these areas. It used real-time media monitoring to develop an “early warning system” to respond quickly to potential or emerging crises. And it launched a proactive ‘trust and safety’ campaign to build mutually beneficial relationships with stakeholders including the police. These activities saw Gumtree partner with the RSPCA to crack down on the UK’s underground puppy farming trade. Together, they launched an investigation to uncover farming hotspots and gained coverage in high readership titles highlighting their work to combat the practice. Additionally, the company is now working collaboratively with cybercrime organisations and the police to help reduce fraud. To raise awareness of its full range of services, Gumtree once again began with market research to understand its impact on key audience segments. 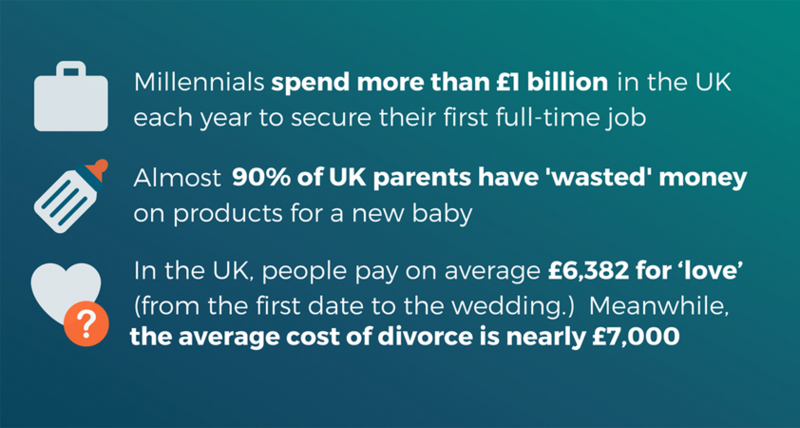 This research assessed how prepared these audiences are for specific ‘key life events’ and formed the basis of three PR campaigns: Economy of Relationships, Economy of Parenthood and Economy of Adulthood. Gumtree expanded on these findings with quotes from spokespeople conveying that its site is a great place to go when you need your money to stretch a little further. Cision used UK Pulse, a representative survey of 10,000 UK consumers, to highlight target publications for these stories. This information was then used to build targeted media lists, evaluate how successfully Gumtree communicated its key messages in the past and measure the performance of its three brand awareness campaigns. To proactively manage its reputation throughout the year, Gumtree used media analysis to track key conversations and themes, categorise PR-generated content and keep tabs on key influencers. Open-ended theme tracking uncovered positive factors affecting Gumtree’s reputation including ‘making money’ and ‘security’. It also helped the brand respond quickly to instances of fraudulent posts, poor user experience or stolen goods as they arose. Cision worked in partnership with Gumtree’s PR agency to ensure all the brand’s media coverage was categorized correctly. This helped Gumtree visualise month-on-month changes in PR coverage and its impact on sentiment, brand messaging and reach. Each month, analysts highlighted influential advocates and detractors in the sector. This included journalists and third party spokespeople Gumtree should be aware of. It was important to understand the ongoing impact of all these activities on consumer awareness levels and perceptions of the brand. “This really helped us see if our PR and communications messaging was resonating with our key audiences,” says Campbell. 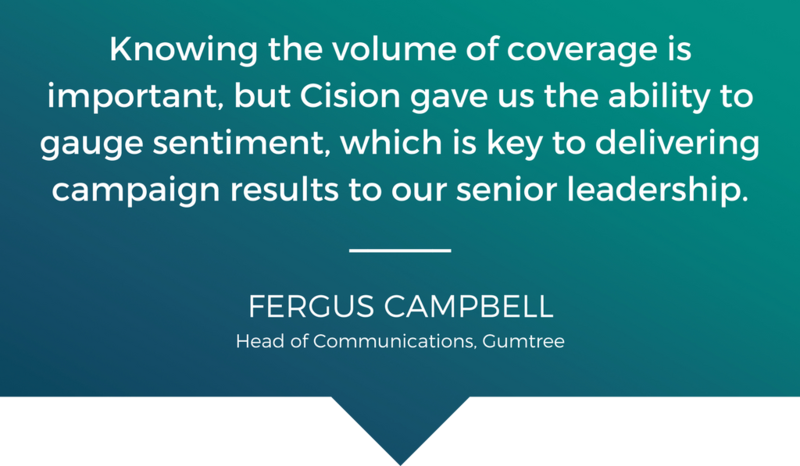 By linking its website usage data to Cision’s media analysis, Gumtree was able to understand how its media coverage drives usage of the site. The data also highlighted seasonal changes in site usage, such as the Christmas dip in traffic as people switch from classifieds sites to retail outlets to buy presents. Awareness levels – to understand who knew about the different services Gumtree offers and the impact its PR campaigns had on this. Attributes – to discover which attributes consumers associated with the brand’s different business areas. Channel – to understand the impact of exposure through different channels and see if it was positive, negative or neutral. Reputation – to see how the Gumtree brand is rated by sentiment and monitor this over time, in parallel with media sentiment. Mission statement – to discover if consumers see Gumtree as a safe platform to use. Over the course of 12 months, Gumtree saw significant gains in brand awareness, its reputation and website traffic. Gumtree’s proactive campaign tripled the quantity of proactive coverage it was receiving and the proportion of positive articles increased 30%. The proportion of people who think Gumtree has a good reputation rose 10% and the proportion who think it’s good value and easy to use increased significantly. 71% of Gumtree’s coverage appeared in target media outlets and the proportion of Gumtree’s coverage delivering its key messages increased by 27%. Awareness of Gumtree’s ‘property and ‘jobs’ services grew by 10% each between January and October. What’s more, awareness of its ‘for sale’, ‘community’ and ‘motors’ offerings rose by 14%, 6% and 4% respectively. Finally, the company saw a 10% year-on-year increase in direct visits to the ‘For sale’ area of its site. While this year’s campaign involved a lot of fact-finding and framework building, Campbell is optimistic about Gumtree’s PR efforts this coming year. Going forwards, he hopes to expand the brand’s measurement framework to incorporate business impacts.